It's Spring - not apple season, but local growers now have fancy winter warehouses that keep supplying us with fruit that seems as fresh as the day it was picked. When there are leftovers after "an apple a day", throw together this easy and lower calorie Apple Tart. I call this a "legacy" recipe because it seems to have already been passed down / along several times. I've made my own adaptations - which includes easy food processor pastry. This works with a pie plate, a tart pan, a springform or you can go free-form / galette style. Here's what you get - a crisp sugary exterior and a soft chewy interior that will remind you of marzipan. Some have described Amaretti as the Italian version of the French Macaron - both featuring almond flour and egg whites as the main ingredients. I have taken a course to learn how to make Macaron (and have had success making them). No course needed for Amaretti - it's crazy easy and pretty much foolproof to make. It's family birthday time, and since 1985, "Chocolate Heaven" from the (now defunct) Chocolatier Magazine has brought good cheer to my birthday boys. It is light with a heavenly, creamy experience of chocolate. I think of this as easy to make - a treat that avoids the hassle of baking. This will sound silly, but I had not always realized that this recipe is essentially a chocolate mousse with bits of angel food cake added. I offer all the tips you need to make this a success! Here's a Kitchen Bliss recipe that is K.I.S.S. You know... Keep It Simple Stupid - and this recipe also gives you a chance to "go nuts" with creative combos. The Whipped Ricotta takes minutes to prepare, so use it for unexpected company or a quick week-night treat - that can be more or less healthy depending on how you enhance it. 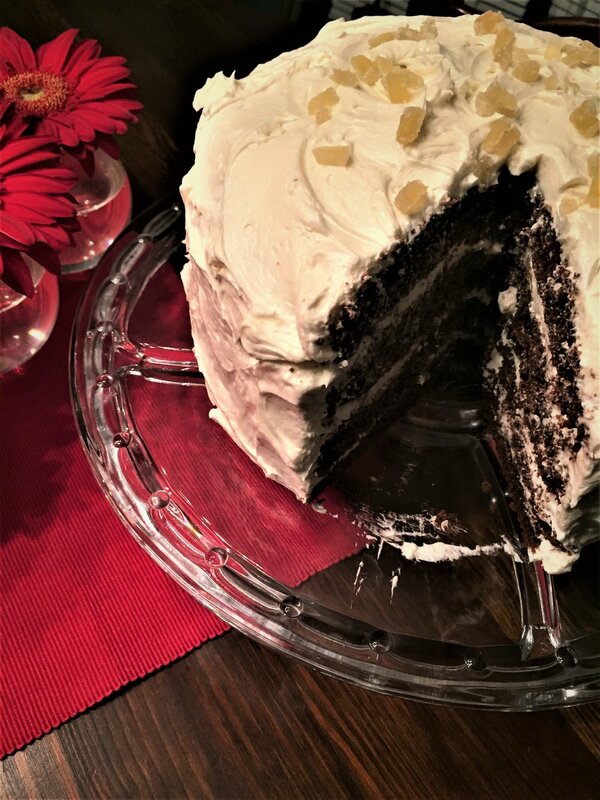 Here's a recipe that has been appearing at the family Xmas table for about 30 years! While some pizzelle can be thicker and softer - we like these because they are thin and crisp - and flavoured with orange, lemon, vanilla and anise. You will need a pizzelle maker / iron. It can be a one person project or invite a friend or family to help make memories while making yummy treats! When is an Apple Cake not really a cake? When it's mostly apples! That's what I love about this recipe which I have made countless times. Unless you have pie crusts ready in your freezer - this is the fastest way to get a stunning apple treat on the table. The cake is mainly thinly sliced apples that emerge from the oven almost as a set custard. It's described as "French-style". Use (almost) any apples you have on hand - and the recent trend is to combine different apples. Rhubarb season sometimes arrives unexpectedly. It can make an appearance during that period when it is officially Spring, and yet there are days so chilly that you wish for your Winter coat. And so it was this year. My phone's weather app is sending me frost warnings in May, but a friendly local farmer gifts me free rhubarb, so I head to the kitchen. Do you have a favourite rhubarb recipe? 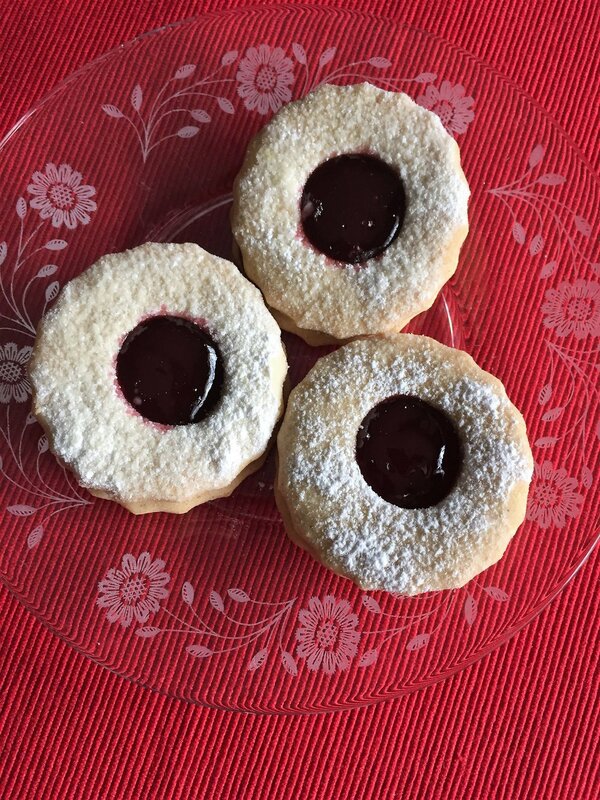 'Linzer" is perhaps more often associated with Linzer Torte - a crust that includes nuts, a jam filling and a lattice top. Like many European classics, the recipe dates back hundreds of years. The ingredients and construction with a jam centre seem to lend themselves to "cookies", though I have no idea when that trend began.